We got a late start yesterday, so our lunch became dinner at The Counter in Santa Monica, my favorite place on the West Coast for burgers. They also serve up some scrumptious fried dill pickle chips, a delicacy we'd only had once before in Alabama. Good stuff. I'd hoped to stop in the Giant Robot store, but we got there after they'd just closed. Another day perhaps. After some driving around, checking out a funky video store in Hollywood, and avoiding a fight that was occuring outside of a Quinceañera, we headed home for a brief stop. Not wanting to call it a night, we thumbed through the L.A. Weekly to see what was going on at 11:45pm. 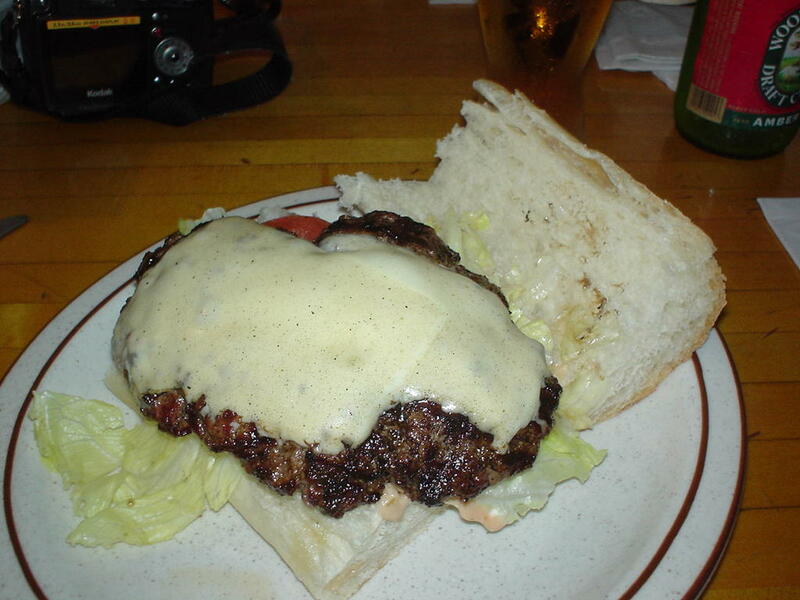 The Weekly jogged our memory about an event we'd talked about going to, but had forgotten. It started at midnight and was about a 10-minute drive (at that time of night) away. The Tomorrow Show was well worth the $5 admission price. The 2-hour comedy show was funny, absurd, entertaining. A couple of known people (such as Emo Phillips) performed. As tired as I was at 11:45pm, I'm really happy I didn't just go to bed. I'd have really missed out. P.S. Tip of left index finger is still numb. I recently told Eric, my husband, I'd started a blog. He said, "well, you've been blogging for over 2 years now." That's true, but it has been through the eyes of one of my dogs, Rusty. Yes, my dog has a blog. I know, it's silly. I do enjoy it, but haven't kept up as much with it lately. I started it when Rusty was actively working as a Therapy Dog. He hasn't worked in awhile due to some unfortunate circumstances and due to my laziness in finding him a new job. Through my photos and my words here, I hope to open up a little bit more. I tend to be a private person though, so this may all end up being mindless drivel. I do a lot of fun things that I hope to write about, but being a bit under the weather this week, I'm not so fun. I've slept A LOT. I cancelled lunch with a friend today since I'm not feeling so well. My plans include napping, getting a car wash, and mailing my stepdad's birthday present. It will be late as the big day is tomorrow, but most of my gifts are late. The excitement continues. 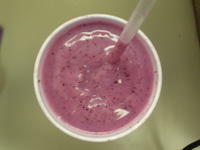 Feeling a bit better today and enjoying my favorite smoothie from Robeks, Berry Brilliance. 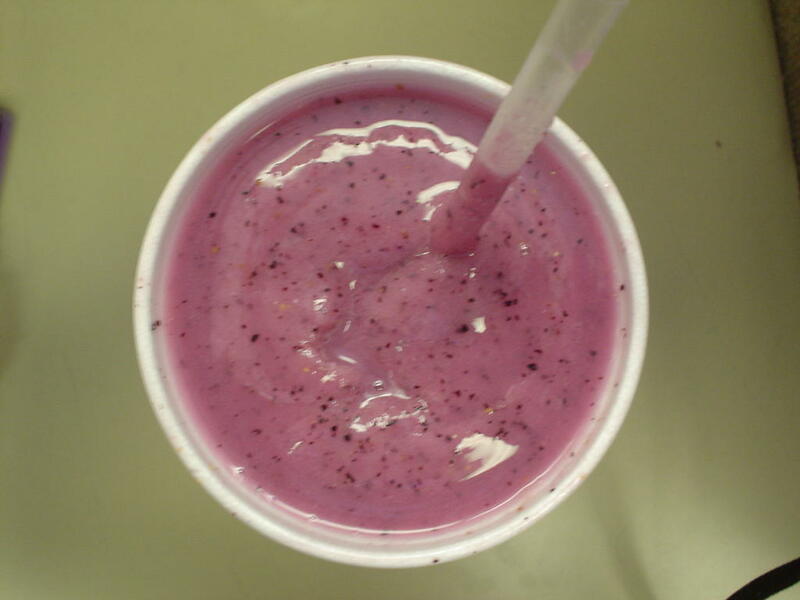 It has the perfect blend of my two favorite fruits, blueberries and banana, along with some other good stuff. Got the immunity boost added to fight off this sinus thing. 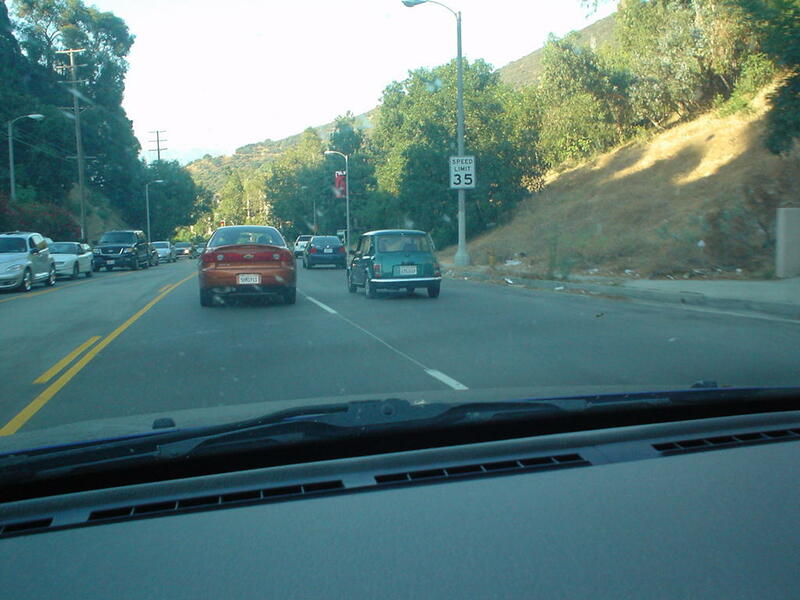 Something you rarely see in L.A., but something I love are tiny cars. I'd buy a BMW Mini Cooper in a heartbeat if I could afford it. I'm now looking toward the Scion XA which is very small and pretty cheap (although I'm broke right now, so it is still a lot). 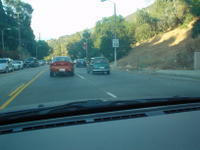 This white car was spotted on the trip back to L.A. from Comic-Con in San Diego a couple of weeks ago. Driving home from work today, I spotted this green car. I couldn't get a great shot of it though. I've been toying with the idea of doing a blog. I've been doing some photoblogging of sorts over at Flickr and am really enjoying that. I usually don't have much to say really, but sometimes want to say a bit more about my photos or the events and people portrayed in them. Other times, I just feel like ranting about stuff, so who knows where this will go.